Participate in an exhilarating firework dispaly, buy a hotdog activitys why not try out some of our many fareground style activities! Open to all members of the Public, Proceeds help Belchamps to provide a range of high-quality activities to young people. In the interest of crowd safety No Sparklers sorry and in the interest of child-friendly event no Alcohol. Belchamps Scout centre displayed an awesome firework display this evening with a magnificent bonfire to boot. Excellent execution of fireworks creating a mesmerising night for quite a time. The side stalls were welcoming customers with a great enthusiasm from the Scouts all representing Belchamps proudly. Thanks for a great night and well done to all of you at Belchamps Scout Activity Centre. This display is open to the whole community. This firework display has been running for the last 30 years and is the biggest and best in the area. 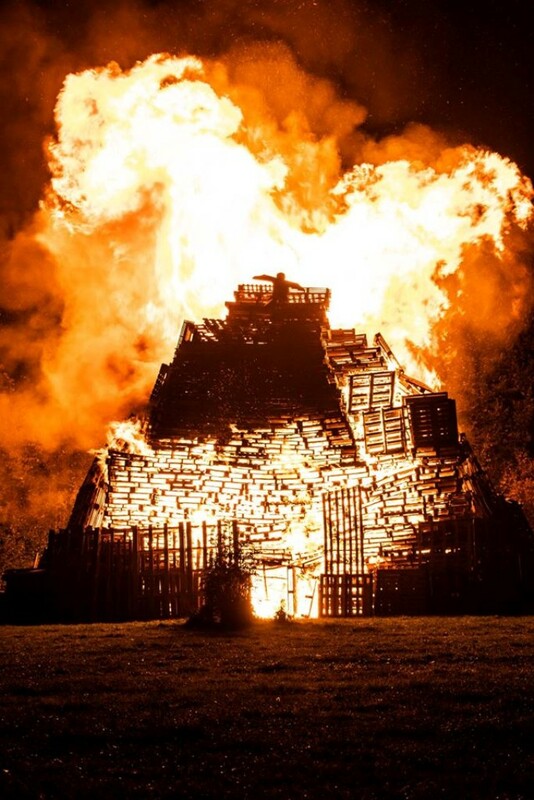 There will be entertainment, inflatables, refreshments, games, stalls, food stands, the best display in the area and a huge bonfire. Juggling Entertainment 6.20pm & 7.10pm. All parking is at Clements Hall Leisure Centre there will be AA signposts. Please be advised that the roads leading to Belchamps will be shut to all but pre-booked disabled visitors (accessible but be aware there are some small ramps and display ground is a field). Its a perfect fireworks show for all the family in Hawkwell Essex! Safe Family-friendly community firework event to celebrate Bonfire Night, the treat with something for everyone.